Mooring: Good holding. We can also moor alongside on the quay between the pontoons, after contacting the Chalkída SC. Beware: in the middle of the pontoons, there is a chain on the bottom for the local permanent moorings. 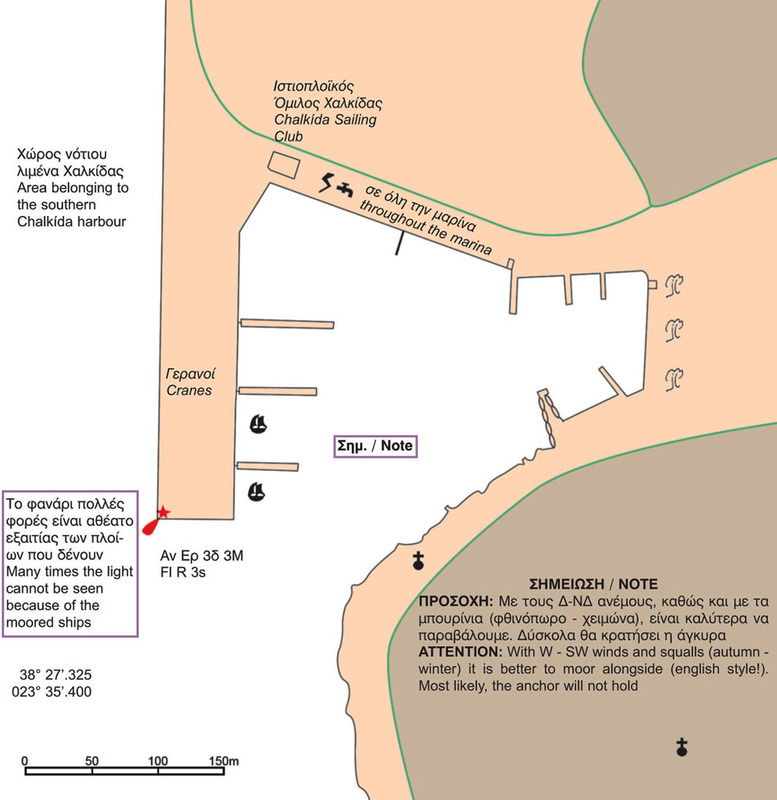 Port facilities: See Chalkída harbour.